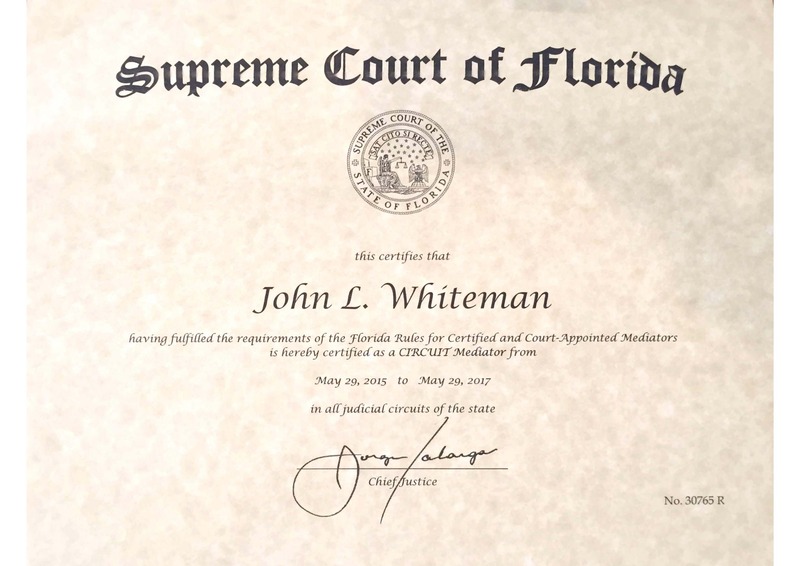 With more than 35 years of experience and a legal practice devoted to real estate, property disputes and probate matters, John Whiteman is ready to serve as mediator for your next civil litigation matter. John truly has command over complex litigation and estate issues that can help in the mediation process. Importantly, John also has a personality and demeanor that you will find enjoyable while interacting with the parties to find middle ground.